Here are our favorite fun things to do in Cancun, Mexico's most fun vacation spot! Ancient ruins, colorful traditions, stunning scenery and friendly people make Mexico a fabulous vacation venue. Cancun is the place to start exploring! Get immersed in age-old culture, learn how to cook a traditional Mexican meal. Discover the magnificent underwater marine life and snorkel in an underground cavern or cenote. Sports lovers can scuba dive, zipline, ride an ATV and parasail. Swim with dolphins or whale sharks and get transported to a surreal world at the Cirque du Soleil. There are a lot of Cancun activities and tours to take! 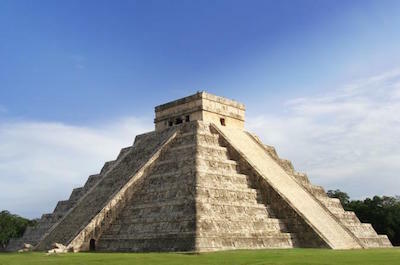 Mexico is a land filled with archaeological treasures and the first thing to do in Cancun is join a tour to explore! Discover the awe-inspiring Mayan Ruins of Coba and the spectacular Chichen Itza, steeped in mystery and magic. If you are serious about archaeology, take the tour with a private professional guide, who will take you to areas not normally frequented by tourists. This ancient city was a centre of worship and pilgrimage as far back as 600AD. 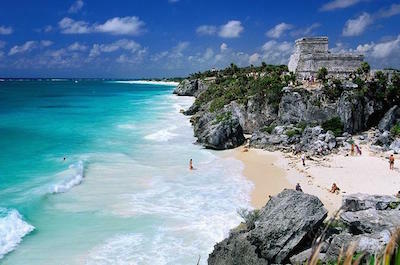 Then visit Tulum, mounted on a cliff, and see the massive towers rising up above the white beaches. This was once a thriving trading port, dating back to the 12th century. If you are brave, you can add a swim in an underground river! Mayan culture abounds with a rich ambiance of colour, flavors, traditions, religious beliefs and history. If you are looking for cultural tours like no other, there are so many things to do in Cancun to ensure a memorable experience. Hanal Pixan, or the Day of the Dead is a world famous celebration that will get your spine tingling. Head to Xcaret where you will follow the ritual, taste the cuisine and take part in cultural activities like dance, theatre and workshops. Then experience the Temazcal Purification Ceremony which uses a hot vapor bath to cure ailments. Learn how Mayan symbols like plants and tree resin are part of the ceremony. End your day learning how to prepare your own tortillas while you chat to the locals. Wondering what things to do in Cancun that will get your heart pumping and give you an experience to remember? 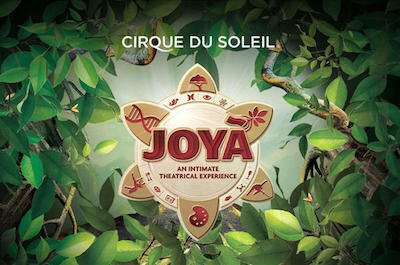 A night at the iconic JOYÀ By Cirque du Soleil, one of the best Cancun activities, will leave you breathless! The venue is an intimate theater located in the middle of the Riviera Maya Jungle. Get immersed in a surreal world of half-human, half-animal creatures who inhabit the world of a young teenage girl called Joyà as she is whisked away to a mysterious jungle by her grandfather. Exquisite costumes, lighting, effects and out-of-this-world scenes will make this a night to remember. The theater was custom-built for the show and you can enjoy a fabulous dinner while watching. You may need a few days to return to reality! 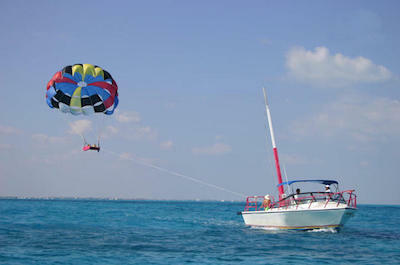 Daredevils will find parasailing, the adrenaline-pumping thing to do in Cancun. Sail up to 250 feet into the air as you are pulled along by a speedboat. The scenery is amazing and the experience is breathtaking. If you are keen but a bit nervous, don't worry! It is perfectly safe and a guide sits next to you on the 2-seater or 3-seater chair. You will be given a briefing before being geared up. Get seated and wait for the boat to pull you out, you will slowly rise higher and higher and you don't even get wet. 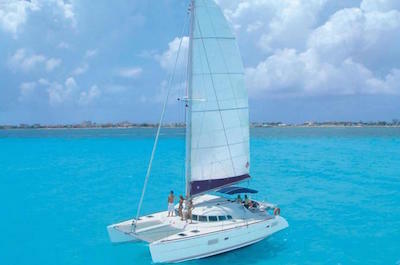 Sail over the coastline and see stunning views of the Cancun Hotel Zone, the Nichupté Lagoon and Isla Mujeres. You can arrange to have a professional video made to watch in case you thought it was all a dream! 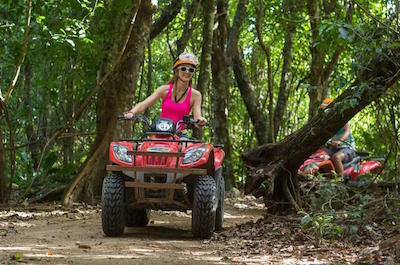 Exploring the jungle on an ATV, a Polaris Trail Boss 330, is the next exciting thing to do in Cancun. Join a tour to Native's Park which abounds with jungle trails. After a safety briefing, gear up with your helmet and goggles and follow your guide along the paths. You can choose to ride alone or with a partner. Roar along and discover the ancient Maya Ruins, explore a cave filled with stunning rock formations and stop for a swim in a cenote. Experts can try their skills on the special 4x4 track where you ride through mud pools, taking extreme twists and turns on an adventure of a lifetime! If you are still up for more adrenaline pumping adventures, there are an abundance of things to do in Cancun. Start off with a six hour adventure of ziplining, roaring around on a buggy and flying on a bungee swing. Tackle mind-numbing aerial suspension bridges and experience the crazy Tarzania Coaster, a ride that beats all! Catch your breathe at a cenote, a cavern filled with tranquil water before setting off again. For something different, explore an underground river system that few tourists ever see. Your private guide will tailor the tour to meet your level of experience, go as far as you dare! This exclusive tour in Cancun can be equated to a walk on the moon or a climb to the top of Mount Everest! Looking for a memorable outing for the whole family? Exploring the Water Parks is the perfect thing to do in Cancun. Get wet-and-wild at Ventura Park. This fabulous venue offers Bumper Boats, a Kid's Park, a Wave Pool, crazy slides called Kamikaze, Twisters and a Space Bowl. Your kids will never be the same again! Visit Fun World and take a ride on a roller coaster. Then try the Crazy Chairs and the old-world Carousel. Go to an underworld and join The Mission, ride a Laser Tank and even fight in a Star Wars Battle Pod. For paddle boats, snorkling and fun waterslides visit Parque de los Sueños. Parents can relax in the lovely setting on lounge chairs while the kids explore the Skywave Zip Line and the climbing walls. Snorkling is a not-to-be-missed thing to do in Cancun. Beginner or professional, you have to get into the waters and discover the abundance of colorful marine creatures that live amongst the beautiful reefs. Stay close to the shore or venture further out with a guide. You will get a briefing and equipment is available to hire if you don't have your own. 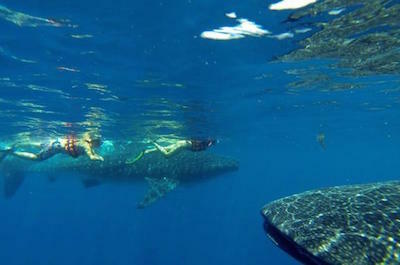 Swim with turtles, dolphins and white sharks if you are brave enough! Snorkel in a cenote, an underground cavern filled with crystal clear waters and stunning stalagmites and stalactites. Then explore the coral reefs in the open ocean and discover stingrays and groupers. Your knowledgeable guide will educate you and snacks and beverages are included in most tours. Never heard of Flyboarding? This is the next thing to do in Cancun. Think superhero and you are almost there. 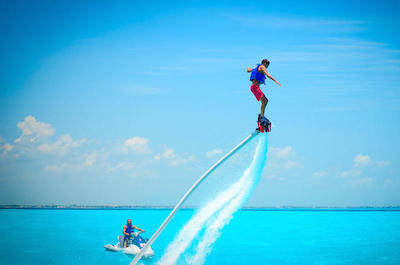 This latest-craze water sport, invented in 2011, will have you wearing a jetpack on your back and being propelled up to 30 feet into the air as you stand on a board. A lesson up front will set you up and then you are off! Blast you way over the water and pretend you are Ironman or Superman. The sport is easy to learn and a guide will ensure your safety at all times. When you get the hang of it, you can learn to loop and twirl, fly around in circles and dive like a dolphin. Photos are provided after you get back to dry land. Bored with snorkling and scuba diving? The fabulous Underwater BOB Scooter is a new way to discover the amazing underwater life of the famous Chitales Reef and is a fun thing to do in Cancun. The BOB, or Breathing Observation Bubble is an innovative apparatus that allows you to sit in a pod, fit on a clear acrylic helmet and explore. You won't get you head wet, you don't need heavy equipment and breathing is easy as the helmet is filled with air at all times. Enjoy the stunning underwater scenery, see stingrays, sea turtles, manatees, colorful fishes and amazing coral formations. Add this unique experience to your list of adventures! Serious divers will find the waters around Cancun filled with amazing sights. Go alone or take a lesson and join a tour. Discover the fascinating Museo Subacuatico de Arte, an underwater world of over 500 life sized statues that create a surreal effect as you float past them. Then dive at the iconic Manchones Reef suitable for all levels of skills. It has over 2500 feet of reef to explore and you will see schools of blue tangs, wrasse, snappers, the amazing brain coral and more! This underwater world will enchant the most experienced divers. For a different experience, dive in a cenote called Taj Mahal, an underwater cave filled with crystal clear waters and fabulous rock formations, and is one of the best Cancun activities around. You will need to be a certified diver to take part in this tour. Theme Parks offer a great choice of things to do in Cancun and are ideal for families with children. 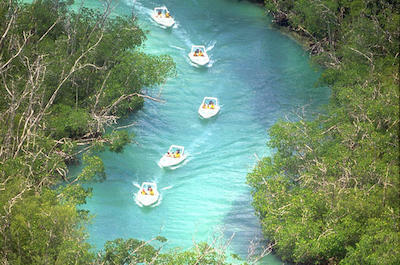 Visit Xel-Ha which offers a choice of water and land activities. An expert guide will help you to rock climb, zipline, kayak and swim with turtles. Ride a bike, walk across a high rope bridge and then relax in a hammock under a swaying palm tree. Discover the power of your senses at the incredible Xenses Park. Explore over 15 activities which are designed to challenge your mind and your perceptions. See different Ecosystems, walk the Labyrinth, hike through underground caverns, all located in a unique pin-wheel shaped building. For a more relaxing themed day, visit the Garrafon National Reef Park where you can play in the azure blue Caribbean waters and relax in a hammock. With so much natural tropical beauty, your choices of things to do in Cancun are unlimited. Nature lovers must join an eco-tour and explore the wonders on offer. Discover the mangroves forests as you sail on a boat and look out for the massive crocodiles. A wildlife expert will make sure you do not become dinner! Relax and enjoy two idyllic islands Contoy and Isla Mujeres where bird lovers can see maritime species nesting. Snorkel along the magnificent coral reefs and then discover the wildlife around the lagoons. 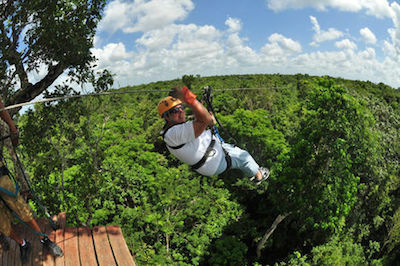 For an Eco-Tour that will thrill extreme sports lovers, set off to Selvatica, an ecological park located in the heart of the Yucatan jungle. Explore this paradise on a zipline, a bungee swing and the Tarzania Coaster. Deep sea fishing to catch that big one may be on your bucket list! If so, this is the next thing to do in Cancun. 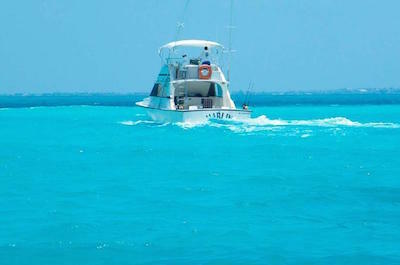 Hire a charter and head for the deep waters with an experienced captain and guide. The luxury yachts are fully equipped with GPS, cutting-edge radio technology and fish finders. Out there are huge bonitas, tunas, king mackerel, mahi-mahi and white marlin. Make sure you have a camera! For something less daunting, enjoy a local fishing experience with native fisherman. Learn how to do trolling and bottom fishing. The fish can be released after you have caught them, or you can take them to be prepared for dinner at a local restaurant! 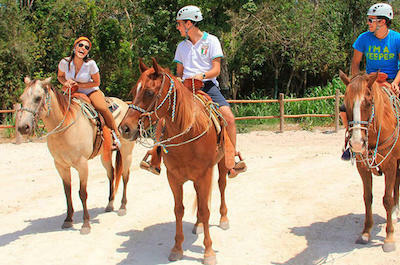 Exploring the different landscapes on horseback is a fabulous thing to do in Cancun. From beach to tropical forest, tours will take you to exotic and stunning locations that will create unforgettable memories. These tours in Cancun are suitable for all levels of skills and you will be given a lesson and a guide will be with you at all times. 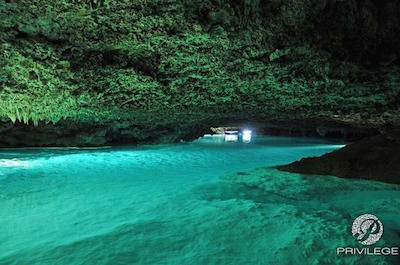 Ride out to a cenote and swim in these underground caverns. Take a tour through the lush Mayan jungle. Ride through the Punta Venado Eco Park and admire the plethora of fauna and flora, see monkeys, exotic birds and more. End your day riding along a white sandy beach as you watch the sun set on this Caribbean paradise! Nature and wildlife lovers will be enchanted by the number of things to do in Cancun. Start off with a massive 11 day bird watching tour where you will travel and see over 500 bird species of Mexico. 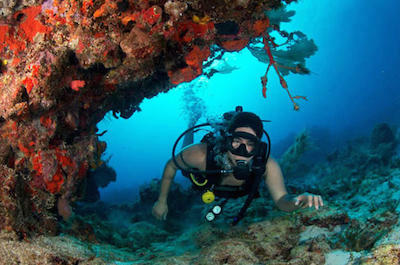 Then get into the water and discover the magnificent reefs and the abundance of marine life that make them their home. Snorkel during the day and at night for a totally different experience! Discover the Sian Ka'an Biosphere, a Unesco Heritage Site, filled with stunning local fauna and flora. Sail down a mangrove river and admire breathtaking views from high up on the mountains. Learn about the farming of agave and how the locals sow and harvest. For the most extreme nature experience, join an exclusive tour to the caves of Rio Secreto. One of the great adventures of the world is ziplining over the Cancun jungle and if you are a lover of extreme sports, this is the thing to do in Cancun. Experienced guides will give you a briefing and gear you up. Once you are attached, you can fly from platform to platform at sizzling speeds and see the jungle scenery below you. 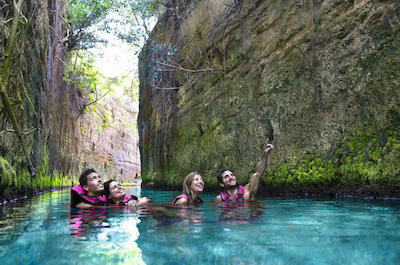 Zipline tours in Cancun can be combined with off-road ATV rides, exploring underground caverns and snorkeling. Choose the one that suits you or try them all! For something special, take a Private Tour to the Punta Laguna Nature Reserve where after discovering the mysterious spider monkey, you can zipline over the massive river! Sail, sail, sail away into the sunset on a luxury yacht or catamaran! This is the next amazing thing to do in Cancun. Sail on La Lupita to the Isla Mujeres. Stop for some snorkeling or just relax on board and admire the stunning scenery. Ejoy a private party on a luxurious catamaran with lunch and an open bar included. Music is provided, the crew will keep you entertained and sports lovers can dive overboard for some snorkeling. Enjoy a 24 hour exclusive trip for four people, and experience the Bahia de Mujeres at night, where the waters turn into thousands of shades of blue. You can also combine a sailing trip with some fishing or a visit to the famous ruins. Looking for the ultimate family adventure? A day of sailing through mangrove forests, an afternoon of snorkling and a ride on a glass-bottomed submarine is the thing to do in Cancun. The Cancun Submarine Tour offers all this and more! 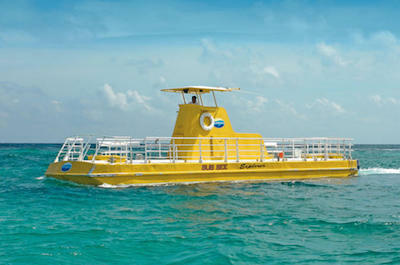 The bright yellow submarine will sail over the Reefs, making for a magical adventure. See the exotic colorful marine life, watch shoals of stingrays swimming underneath you, spot a dolphin or a butterfly fish. Admire the amazing coral formations and the sponges. This tour is ideal for people who can't swim or don't want to dive. If you don't mind getting wet, jump overboard and snorkel or swim. You will get to keep your snorkel as a souvenir! 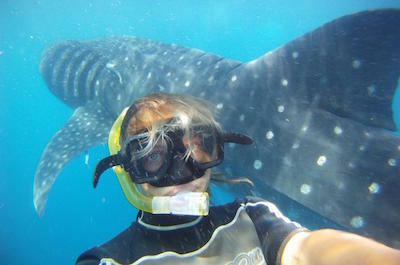 If you think swimming with dolphins is fun, you need to up your game and swim with the biggest fish of all, the whale sharks! This is an amazing thing to do in Cancun. The Mexican Yucatan Peninsula is one of the rare places on the planet where you will find these gentle creatures. 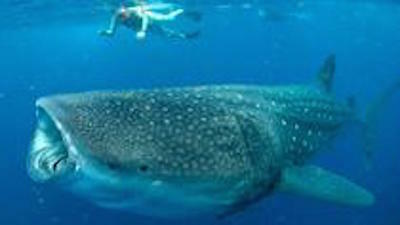 Join a tour in Cancun with a professional guide and go in search of them. Once spotted, if are brave enough, you can jump into the water and snorkel alongside for an unforgettable experience of a lifetime! Stay as long as you like, your guide will monitor the conditions at all times. When you are done ask all the questions you have and learn about these fabulous creatures. Then catch your breathe and relax with a snack and a drink. Only 10 people permitted per tour. When you think you have run out of things to do in Cancun, book for an exotic cruise that will have you dancing, singling, soaking up the culture and having the time of your life! 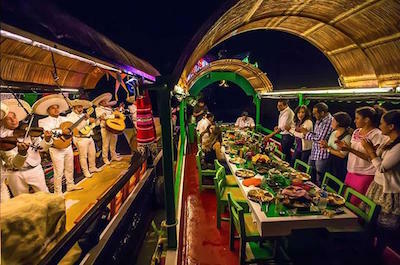 Start with the night Xoximilco Cruise on a trajinera which offers a gourmet experience of note! Mountains of local delights are served up in true Mexican style and party continues for hours. Learn how to dance to mariachi music, drink tequila, find out about folklore and have a ball! For something romantic, enjoy a private sunset tour with dinner and personalized attention. Sail the lagoons and admire the magnificent scenery as you sip a local cocktail. If you love lobster, an exclusive Lobster Dinner Cruise is for you. Sail on the beautiful Nichupte Lagoon and feast on buttered lobster and steak. After dinner join the party with games, prizes, a live band and dancing. Dress up and hit the nightlife scene, this is an unforgettable thing to do in Cancun. Coco Bongo awaits! Join the hundreds of people who come to chill out at this world famous night club. It is made for party animals and offers the best food, best live shows and best ambiance. Choose any exotic cocktail you can imagine and mix and mingle with the beautiful people. 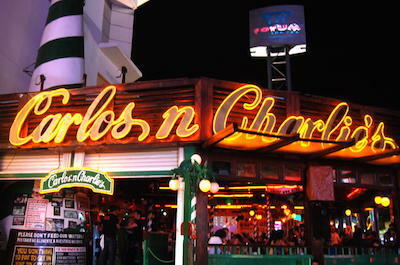 Then set off to Carlos 'N Charlie's and Señor Frog's. Put on your dancing shoes and learn how to Salsa. Enjoy the open bar and the amazing atmosphere. If you still have energy, head to La Vaquita. It has fun cow-themed décor and you are expected to dance the night away. Do you enjoy Mexican food? Don't just eat it! Learning how to cook it is a fabulous thing to do in Cancun. Join a professional chef and go to the Market 23 for some shopping, Fill your bags with fresh local ingredients and then head to a local restaurant kitchen where you will learn how to cook up a storm. Sit down and enjoy the meal you have prepared! If you want more, go to the Riviera Maya and learn to make the best Mexican dishes on a 7-course cooking tour. You will watch locals making hot chocolate, pastries and jellies and then you will try your hand. Your Mexican fiesta must be eaten with friends and family. 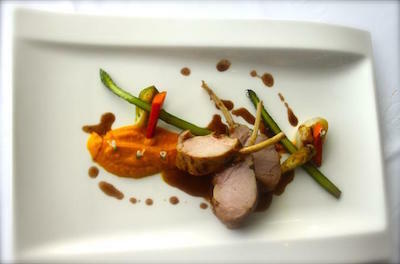 For a true Mayan culinary experience, join the Culture Tour which includes learning how to cook a regional dish. See the wonders around Cancun from a different perspective. Taking a photo tour with a professional photographer is an unusual thing to do in Cancun. 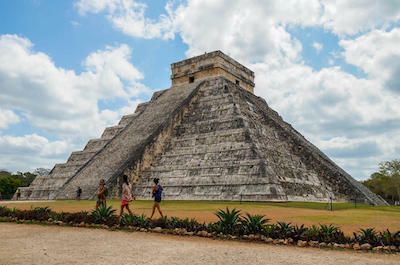 Visit Chichen Itza and learn how to take spectacular pictures of this world famous venue. The guide will also take photos of you and your friends as you go along. 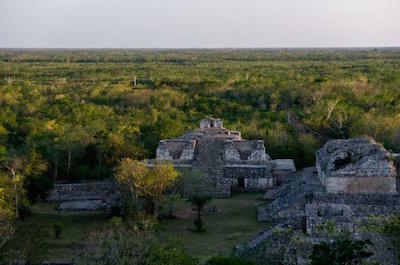 Then visit the ruins of El Meco on a private photo tour in Cancun, to add to your album collection. The guide will assess your photography skills and give you tips. Drive through Puerto Juarez and take pictures of local settings. Animal lovers will be thrilled to indulge in a n 8 day tour taking photos of the exotic wild life from birds to insects, flowers and marine creatures. Feeling the power of a 260hp engine as you jet ski along the waters is an awesome thing to do in Cancun. Ride on the open lagoons and then head for the mangrove forests. Your guide will give you a safety lesson and the correct gear. If you prefer a certified pilot, experience an adventure of a lifetime as you speed out into the open ocean and the craft jumps 18 feet into the air! You can combine jet ski trips with snorkeling and swimming, spotting marine life or just enjoying the high-speed adrenaline rush. The choice is yours. Tick swimming with dolphins off your list of things to do in Cancun and head for the Cancun Dolphinarium. Your life's dream will come true in a fabulous afternoon spent playing, feeding, swimming and interacting with these amazing creatures. Get a briefing on their characteristics and habits and then enter the water. You can play in the shallow section or be more adventurous and swim out with the dolphins into the depths. A knowledgeable guide will be with you at all times. 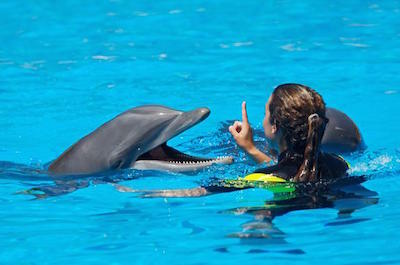 If you are really serious, become a dolphin trainer for a day and see if you would like this job! Take part in feeding sessions, behind the scenes training and get a T-shirt and certificate to show off at home.